Have you ever seen a cow shed that looked like this? 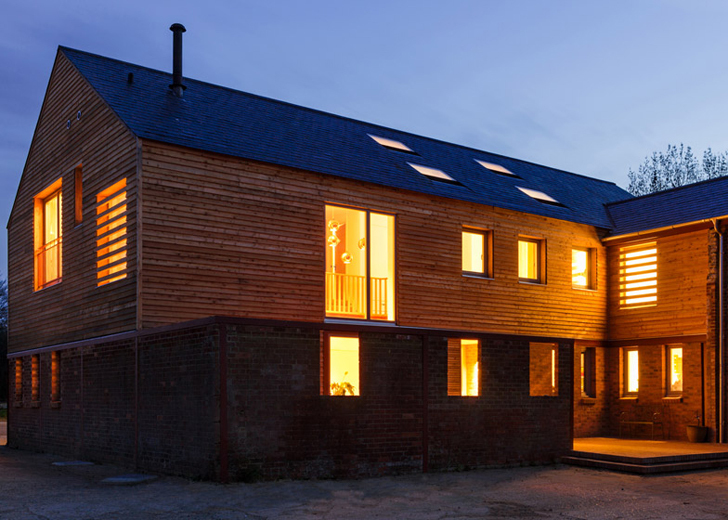 London-based architecture firm <a href="http://a-zero.co.uk/" target="_blank">A-Zero</a> transformed old farm buildings near Leighton Buzzard into a home for a young family. 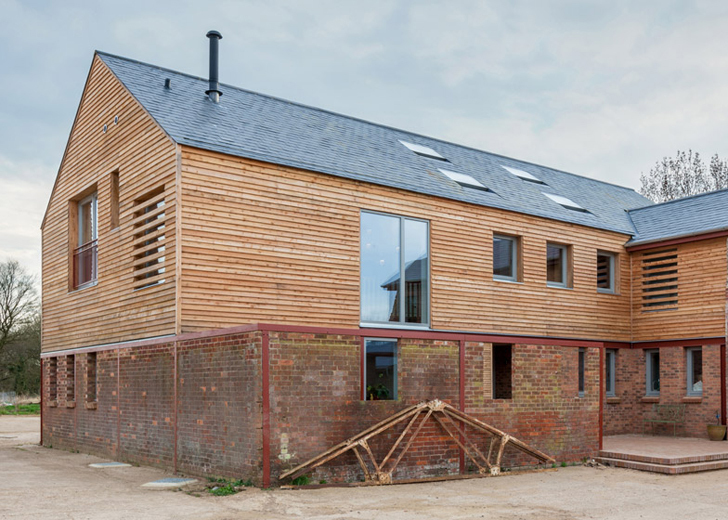 Instead of demolishing the existing structure, the architects decided to include parts of an old cow <a href="https://inhabitat.com/tag/shed/" target="_blank">shed </a>into the structure of the new oak frame house in England. And we think the result is outstanding. 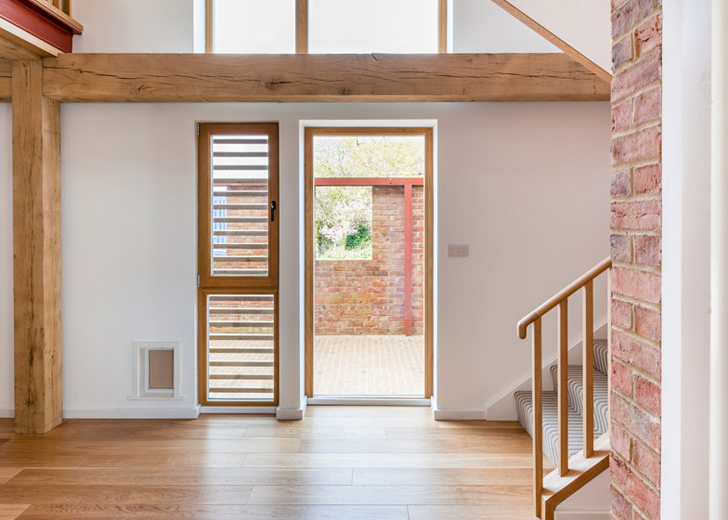 The architects decided to keep the six-foot-high brick perimeter walls of the building and combine the existing steel frame with the new timber frame. 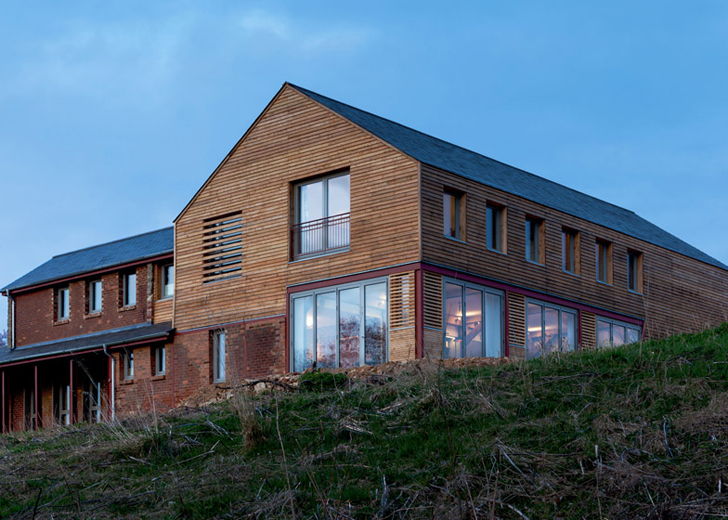 A sheltered courtyard is created on one side of the site. 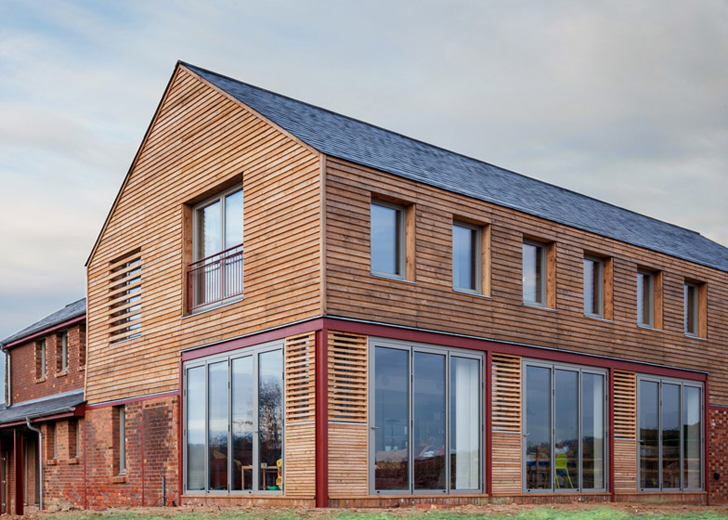 In order to achieve air tightness, the architects created a hybrid structure that combines prefab oak frames, existing steel frames and layers of insulation covered with brickwork and British larch cladding. Around 90 percent of the old steel frame was preserved, and finished with red paint. By renovating, the design team saved a great deal of materials that would have otherwise been necessary. The ground floor houses the living area, dining room, kitchen and a sitting area. Have you ever seen a cow shed that looked like this? 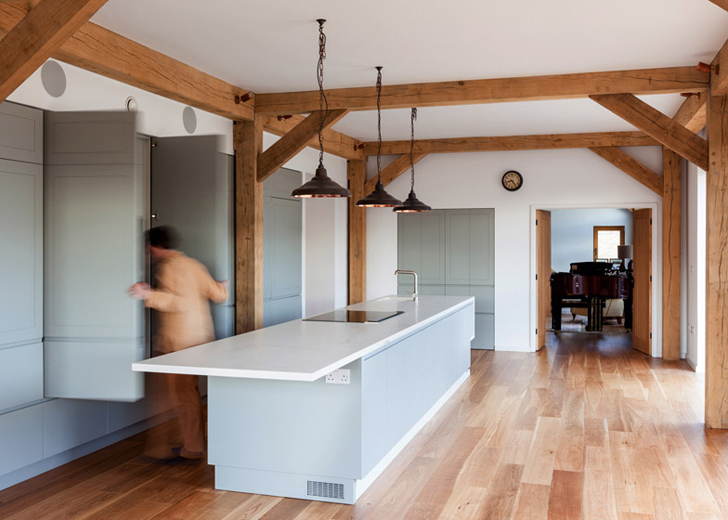 London-based architecture firm A-Zero transformed old farm buildings near Leighton Buzzard into a home for a young family. 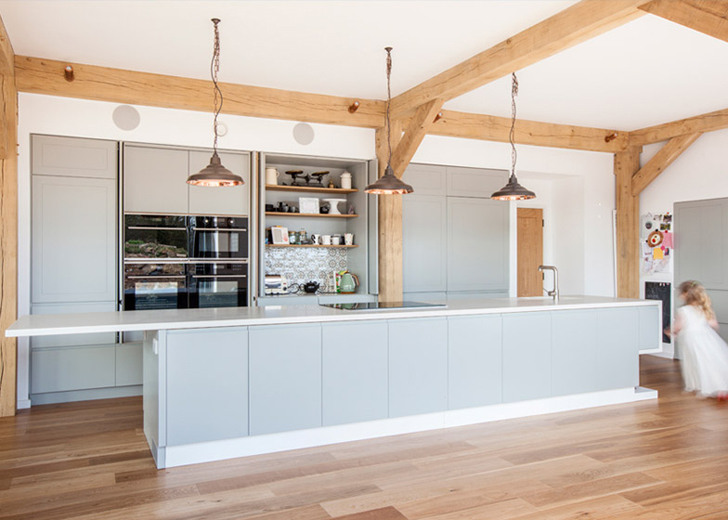 Instead of demolishing the existing structure, the architects decided to include parts of an old cow shed into the structure of the new oak frame house in England. And we think the result is outstanding.